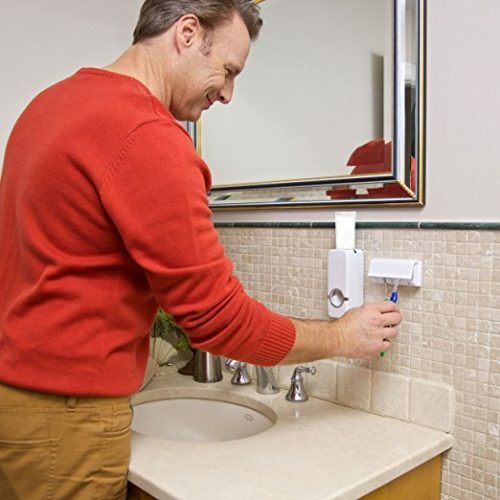 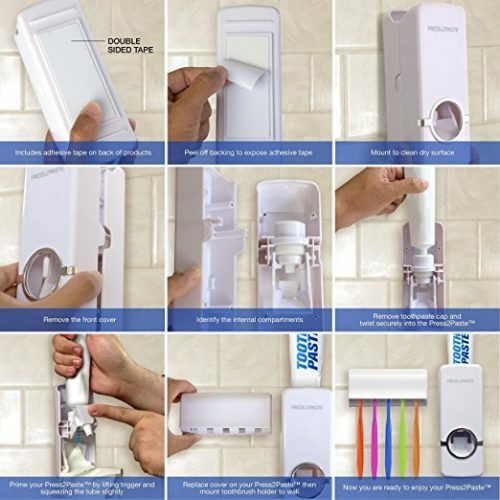 Introducing Press2Paste, a Hands-FREE Automatic Toothpaste Dispenser SLASH Toothbrush Holder. 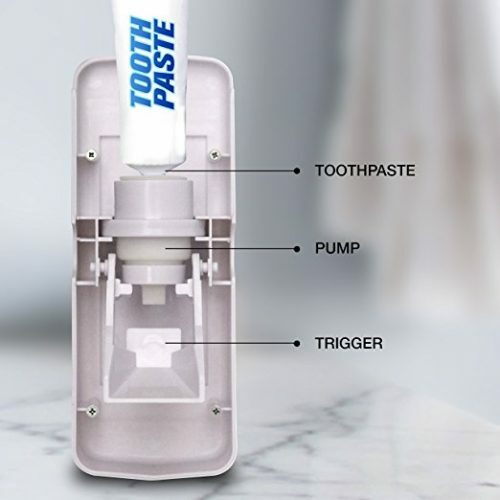 It incorporates a vacuum technology to squeeze out every last drop so your toothpaste will stay clean and be economical! 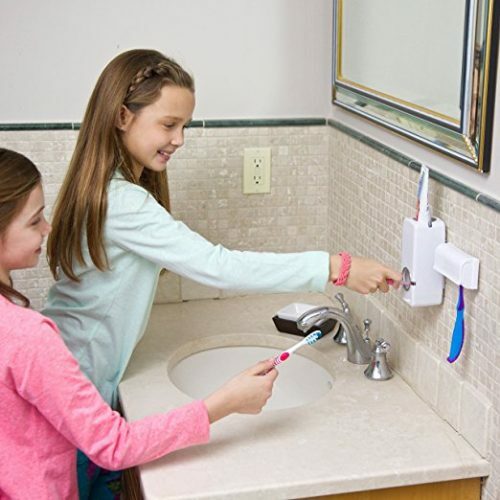 5 Tooth Brush Holder will protect your tooth brushes from air pollution and potential mold and bacteria. 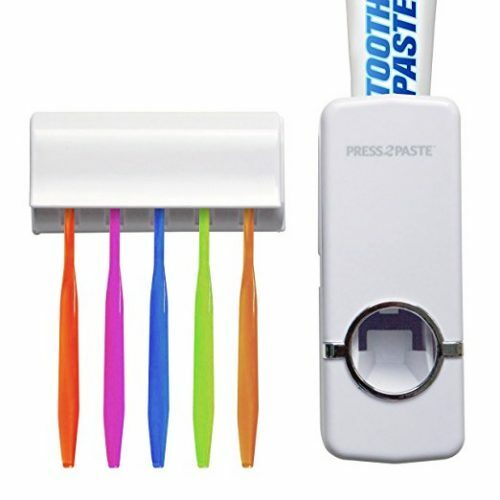 This product is great for kids and adults who wants to keep the bathroom clean and hygienic while getting the most out of every tube of toothpaste!